One can go far on a small budget. But just stopping into a big box and picking up the cheapest thing won’t get you there. If you are on a budget but want good sound and don’t know where to start, here’s a guide. These components have many recommendations from a variety of places; user forums, electronic and audio magazines, and our own ears here at AudioReview.com. Below is a list of budget components that has caught our attention over the year. This is by no means a definitive list. Â If you have some of your own you’d like to suggest use the comment area below. Onkyo is a big name in the audio industry. Â Having been around for ages and always making quality gear at an affordable price. Â The M-282 is no exception. Â A 100W solid state amplifier that does have a pre-amp (knob in back). This can easily drive your home stereo system and sound good. 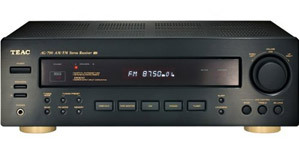 Listen to your favorite radio stations on the AG-790A AM/FM stereo receiver from TEAC. Its discrete output circuit configuration provides 100x100W RMS output power at 8 ohms. Its quartz PLL-synthesized tuning system delivers quality sound through your stereo system. You’ll also be able to take advantage of the built-in speaker terminals (four pairs) to connect your speakers to your stereo system. Mid-range vocals and soft silky highs are what these are all about. I’ve just finished demo’ing them at the 2011 California Audio Show and I was blow away by the clarity and presents of the vocal mid-range. 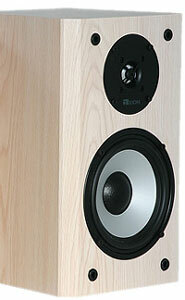 Â Pair with a sub for better bass performance. Vocal’s pop off these so they will surely make great speakers for movies. Plus they fit in a small bag and are easily portable. Take them with you on your next vacation or biz trip and actually get good sound in your hotel room. The long list of reviews from a variety of sources speaks for itself. Â These are great little desktop speakers. 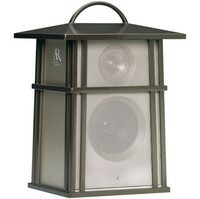 Other Recommended Computer Speaker Systems. 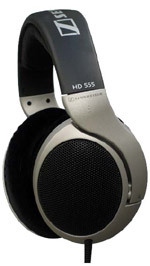 Sennheiser HD 555 made it onto our Editor’s Choice Best Headphone Guide for good reason.Â They are constantly sought after by audiophiles on a budget.Â Their open constuction and cicumaural fit (around the ears) makes them comfortable, big sounding, and doesn’t cause listening fautigue.Â The HD 555 are good straight into a source but really shine with a headphone amp. Sennheiser, a headphone company with one of the best reputations, has made one of the best budget hi-fi headphones out there. Free your self of wires. Sounds like a dream. But with the 150ft range of the AW825 speakers, that work inside, outside, in the rain and wind, youâ€™ll be able to live that reality. 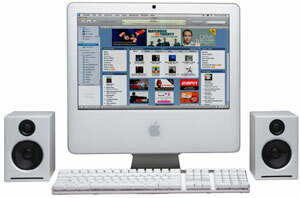 The base unit does have to be plugged into a wall outlet and a source via the 1/8th adapter, so your MacBook, yourÂ iPod, iPad, iPhone, laptop, or stereo, but the actual speakers run on AA batteries and can be moved anywhere. Nothing says I love you to an audiophile like a gift of vinyl. 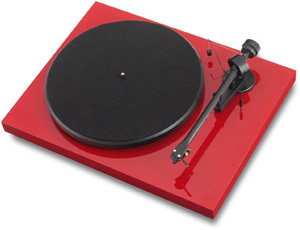 The Pro-Ject Debut III is one of the top selling budget turntables because it has one focus, accurate audio playback.Â There are no bells and whistles, no cheap USB connections, nothing you don’t need.Â Also the nice thing about it, if you want to take your turntable to the next level there are plenty of aftermarket upgrades for the Pro-Ject tables that can turn a $400 table to the next several levels. The ERC-1 CD player is designed to be an audiophile player. Separate, shielded power supplies for the CD carriage, display, and digital and analog sections ensure noiseless operation. Using Analog Devices 1955 DAC, with 384k oversampling, and 1V rms (7V peak for extended dynamics), the ERC-1 will be your guide to rediscovering your CD collection and your love for music. Even the look of the ERC-1 will turn heads, with a sleek faceplate that features a halo-lit slot load mechanism.